Amiel (7.3.2009) - Preserve the Polar Regions and Glaciers. Red printing. Mint ATM small value (1). 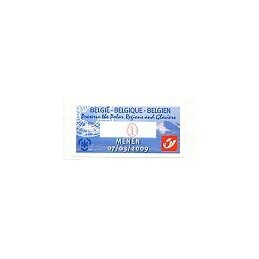 Amiel (7.3.2009) - Preserve the Polar Regions and Glaciers - Menen. Red printing. First day cover, domestic (1). Amiel (7.3.2009) - Preserve the Polar Regions and Glaciers. Red printing. 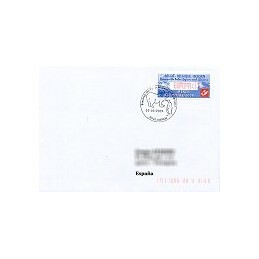 First day cover mailed to Spain (EUROPA 1). Amiel (7.3.2009) - Preserve the Polar Regions and Glaciers. Red printing. 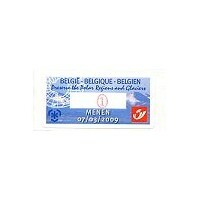 Maximum card with ATM, domestic value (1) - Glacier. Amiel (7.3.2009) - Preserve the Polar Regions and Glaciers. Red printing. Maximum card with ATM, domestic value (1) - Penguins.